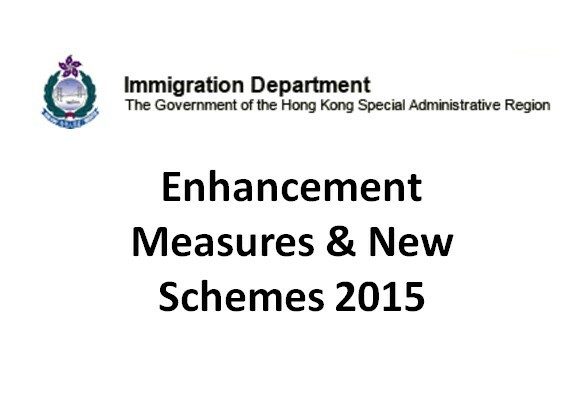 More information on the Hong Kong Immigration Policy Changes 2015 front is starting to emerge. LEGCO PAPER LC Paper No. CB(2)654/14-15(05) c elaborates on the Security Bureau’s initiatives in the 2015 Policy Address and Policy Agenda. The Annex is especially helpful on the rationale for the changes being introduced and I’m starting to get the sense that it’s going to be hereafter business as usual down at Immigration Tower after all. By this I mean these changes are going to have the right effect in not needing to worry about limits of stay and providing some transparency into what will suffice for an entrepreneur or Startup business investment visa approval. But ImmD are looking for talent and smart business investors bringing new technologies and skills. The detail in the story is going to be very important and your documentation and argument will have to be of the highest order. ImmD want the attract the best and you will for sure have to earn your approval. If you’re worthy of it, it will undoubtedly be yours, but you will have to go about it in fully focused way. Heck, Startups who can finagle a way into one of the government backed incubator programmes such as InvestHK’s StartmeupHK and Cyberport’s Incubation Programme are essentially home and hosed even if they have glaring shortcomings as business investors under the Entrepreneur stream (as newly defined). This is the first time I’ve seen ImmD (in a sense) outsource their ‘entrepreneur’ due diligence to sister organisations and to me is a clear signal that the times they-are-a-changing. It’s exciting times in Hong Kong visa and immigration land at the moment and it’s keeping us all on our toes! More updates and commentary coming soon.